Needs something to read too. It might be a long trip. Seeing as it's going to Oshawa, it may as well take its shoes off. And it went shopping today too, so don't forget those bags. 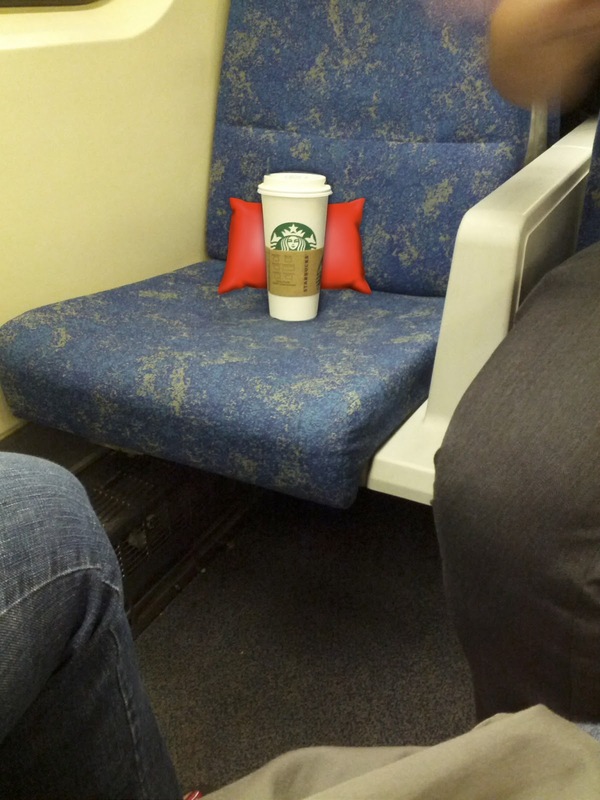 Thank god that coffee got a seat, it must be such a nuisance to remain in a human beings hands. Okay, so Dirty Ron's, shopping and shoes off. Challenge accepted, CJ? I think Starbucks has better taste than 50 Shades of Grey!